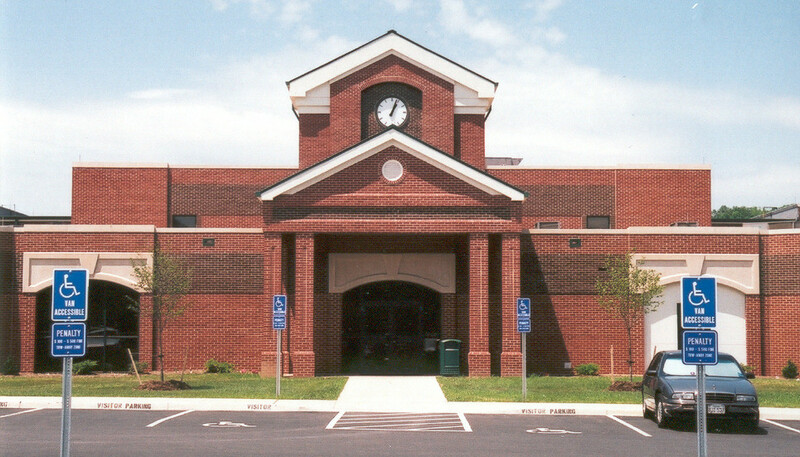 Shenandoah County Government Office Building – Miller Cupp Associates, Architects, P.C. 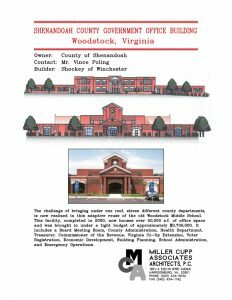 The challenge of bringing under one roof, eleven different county departments, is now realized in this adaptive reuse of the old Woodstock Middle School. This facility, completed in 2000, now houses over 50,000 s.f. of office space and was brought in under a tight budget of approximately $3,700,000. It includes a Board Meeting Room, County Administration, Health Department, Treasurer, Commissioner of the Revenue, Virginia Co-Op Extension, Voter Registration, Economic Development, Building Planning, School Administration, and Emergency Operations.